I am talking about my sorrel plant. I grabbed up the leaves yesterday and for a day they sat in the fridge in a plastic bag. But I absolutely did not want to waste them. And so I made a pilaf. Remember my sorrel? Sure you do. It was only back in 2008 that I noted its presence in my garden. Leonard Pennario was still around then. For my pilaf I used a recipe for spinach. If you are looking for a recipe for sorrel there are kind of slim pickings. It came out yummy! I do not remember what I have done with this sorrel in the past, if anything. Back in 2008 I kind of mocked it out. But it is tasty! 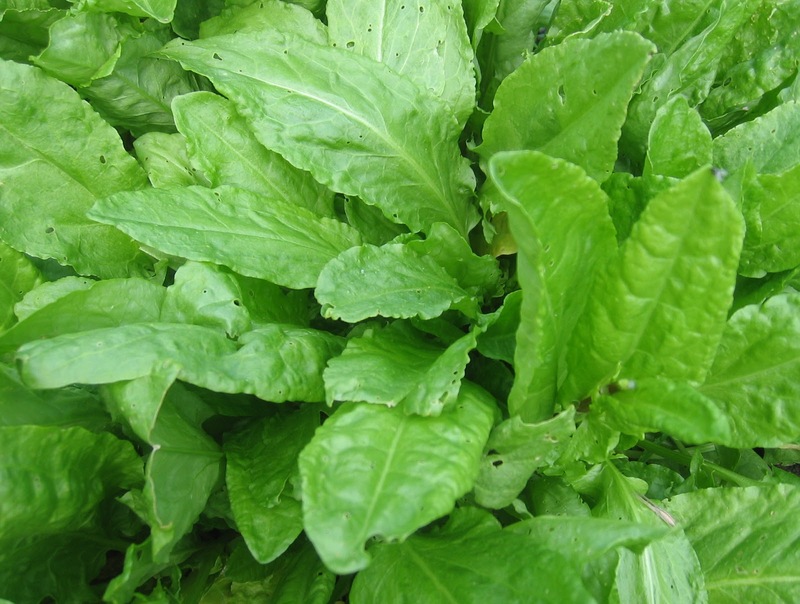 The sorrel tastes kind of like a lemon spinach. And it has a smooth texture like chard. Now I have a mind to cook up more from my back yard. There are dandelions. And I have already chopped up and eaten some of the bishop's weed. The chives are growing and I have used those too. Thank you, JFH! I am going to try to check in more. Thank you for wading through what I write! !